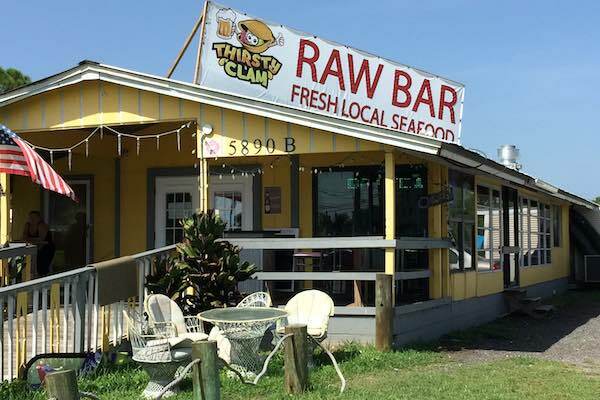 SEBASTIAN – Many bikers have been searching for a new local venue after Earl’s Hideaway Lounge and the Tiki Bar & Grill banned patrons wearing “vests and colors” from their establishment; they might want to look north of Sebastian at the Thirsty Clam in Grant-Valkaria. 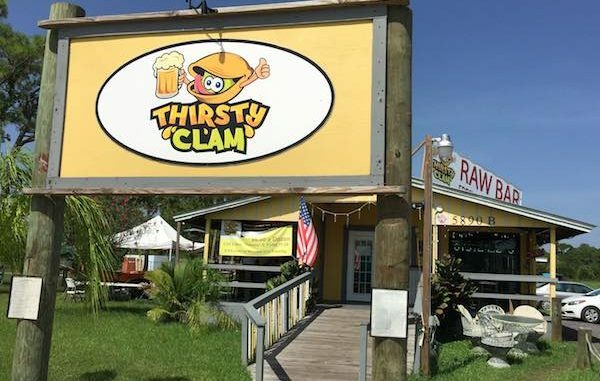 The Thirsty Clam is located just north of Micco in Grant at 5890 U.S. Highway 1. This is a Live/Raw restaurant with a bar where they provide friendly service. Recently, the Sebastian Daily staff visited The Thirsty Clam for some seafood, and we were greeted immediately. 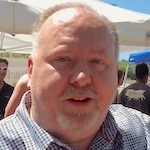 In addition, the owner, Rich Schwarzbach tries his best to introduce himself at every table. We enjoyed the food. Several bars and restaurants in Sebastian have taken a stand against Motorcycle Clubs. Some associations, including Veterans, are still welcomed, but the move to ban all “colors” has upset a lot of people. While several establishments have banned Motorcycle Club “vests and colors” in Sebastian, including Earl’s Hideaway Lounge and the Tiki Bar & Grill, many bikers have been searching elsewhere. “Colors” are the insignia, or “patches,” worn by motorcycle club members on vests to identify members of their club and territorial location. Many different groups have worn club patches since the 1960s. Rich and his wife Nancy ride, unfortunately not as much as they would like. The Thirsty Clam in Grant offers a military discount.